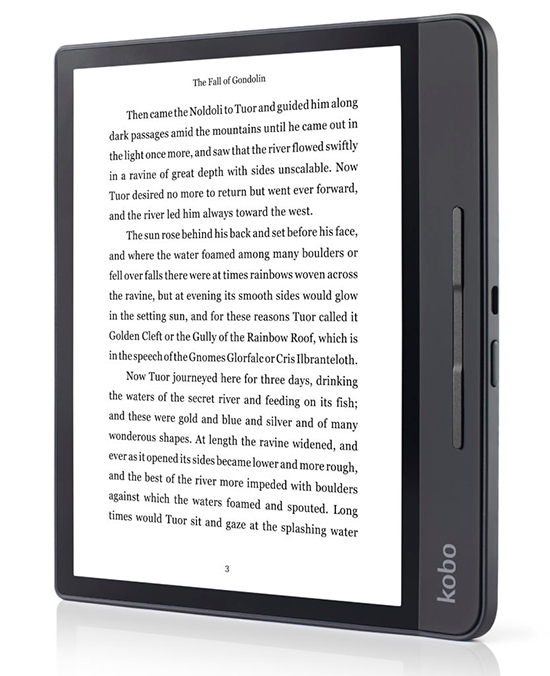 Kobo has revealed a new e-reader called the Forma, the latest refinement in the company’s line of e-ink offerings. The Forma features an 8-inch 1920 x 1080 pixel (1080p) e-ink display, a new ergonomic design, water-proofing, weeks of battery life and a variety of other new features. One of the most interesting aspects is the new design, which includes an ergonomic handle on the side of the tablet that gives the device a fresh look, while also making it easier to hold. There are also a few buttons on the right edge of the Forma that make turning pages a breeze, especially when compared to tapping or swiping on a touchscreen. The device weighs 197g, which is about 15 percent less than the Kobo Auro One. 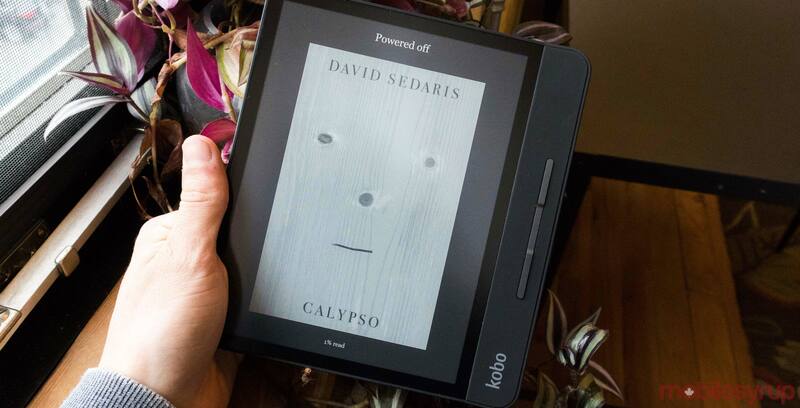 Even with the lightweight design, the e-reader is still durable, and Kobo says it can withstand a two-metre drops. Further, the device can be submerged in two metres of water for around 60-minutes thanks to its IPX8 rating. There’s also a new backlight called the ‘ComfortLightPro’ that can be adjusted, along with a blue light filter for night reading. The Forma starts at $299.99 CAD for the 8GB version, and it’s slated to be available for pre-order starting on October 16th. The e-reader will be available to purchase in stores a few days later on October 23rd.